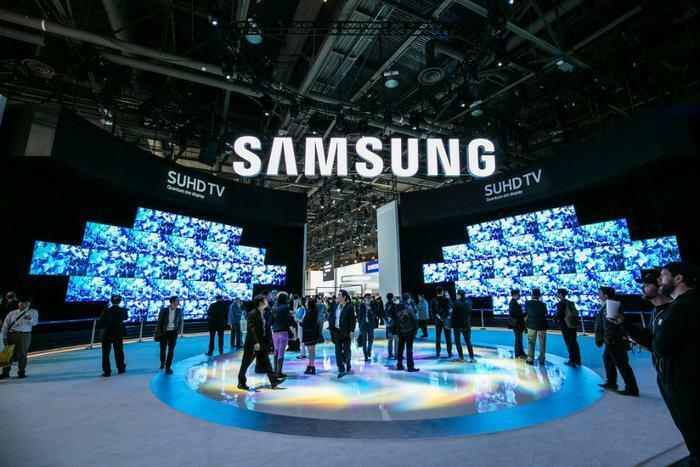 The annual Consumer Electronics Show (CES) in Las Vegas, January 5-9, is a high-profile venue for technology companies hoping to focus attention on their latest innovations. For some, it is also a great way to change the subject. After a miserable 2016, in which it saw its flagship Galaxy Note 7 smartphone go down in flames – literally – Samsung has arrived in Las Vegas with a wide range of new products. For example, the company is introducing the latest version of its robotic vacuum, the POWERbot VR7000. Samsung says it cleans better in hard-to-reach areas without requiring manual follow-up cleaning. Samsung is also introducing a new washer-dryer combo, the FlexWash and FlexDry systems. The two machines provide distinct laundry compartments, both with a wide range of features, depending on load size. The FlexWash is a front-loader with five cubic feet of capacity, an expansion over previous models. Its also built in a way that it can wash smaller loads separately from larger ones. FlexDry also presents new flexibility. Consumers can lay clothes flat in a special Delicate Rack zone at the top of the dryer, which uses a controlled, heated air flow. The zone regulates the heat between room temperature and 95 degrees Fahrenheit automatically, depending on the type of fabric. On the entertainment side, Samsung is introducing the latest generation of its Quantum Dot Curved Monitor. Andrew Sivori, Vice President, CE-IT Product Marketing at Samsung Electronics America, says the device is aimed at the gaming market. Samsung's recent investments in audio technology will also be on display in the form of its new line-up of ultra high quality (UHQ) audio. The company says the UHQ technology has the ability to improve existing sources of audio. A lot may be riding on the CES for Samsung. Company CEO Kwon Oh-hyun told company employees the Note 7 debacle has cost the company dearly, threatening to slow its growth. He also pledged to learn from the Note 7 mistakes and make “all necessary reforms” to avoid similar mistakes in the future.